John Moncure. Forging the King's Sword. Military Education between Tradition and Modernization: The Case of the Royal Prussian Cadet Corps, 1871-1918. New York: Peter Lang, 1993. Pp.323. Stephan, Werner. 1995. “John Moncure. Forging the King’s Sword. Military Education between Tradition and Modernization: The Case of the Royal Prussian Cadet Corps, 1871-1918. New York: Peter Lang, 1993. Pp.323.”. 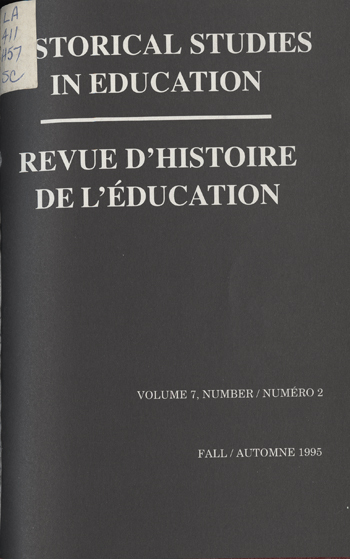 Historical Studies in Education / Revue D’histoire De L’éducation 7 (2), 273-75. https://historicalstudiesineducation.ca/index.php/edu_hse-rhe/article/view/1405.